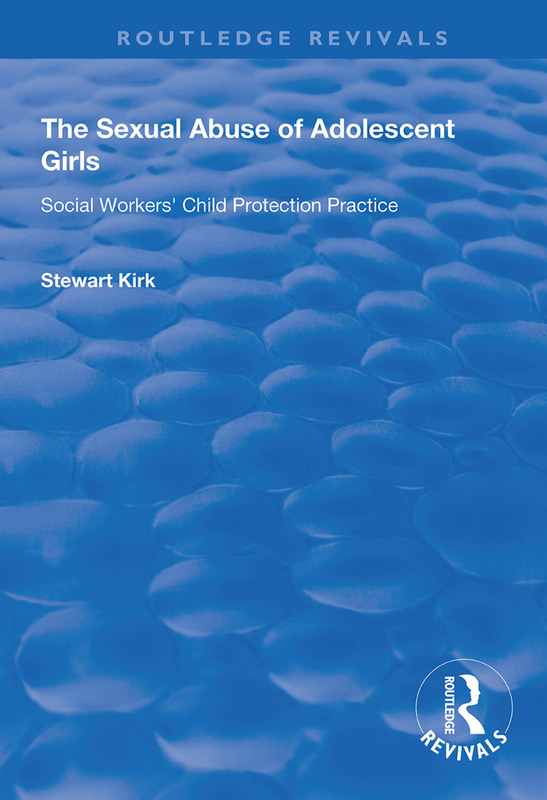 First published in 1999, this volume examines the ‘meanings’ specific child protection cases involving the familial sexual abuse of adolescent girls hold for social workers. This is achieved through a qualitative analysis of a series of interviews with social workers regarding current or recent cases. The analysis reveals various influences on social workers’ practice: the organisation and administrative structure of child protection, governmental requirements to interagency coordination, the abused girl, her family, and the skills and limitations of the social worker. The findings point to a series of tensions between social workers’ perceptions of appropriate intervention practice on the one hand and organisational needs, the demands of the criminal justice system and client choice on the other. This leads to recommendations for improved in-service training, including joint training for social workers and police officers, and a review of the transitional procedures between child protection and adult services.